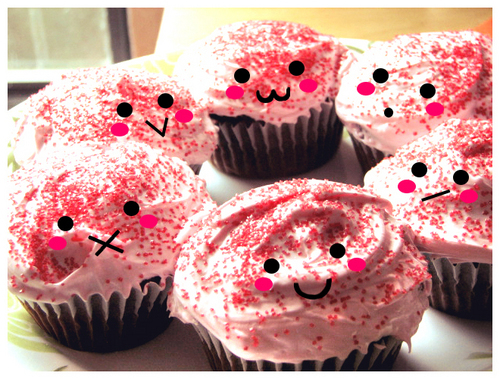 কেক Faces. . Wallpaper and background images in the খাবার club tagged: food cupcakes faces pink cute photoshop. This খাবার photo might contain বনবন and কেক.